This Vegan Hawaiian Poke Bowl is fast becoming my favorite lunch! Sure, it requires a bit more effort than say, avocado toast, but the end result is so worth it! It’s delicious, filling and completely healthy! 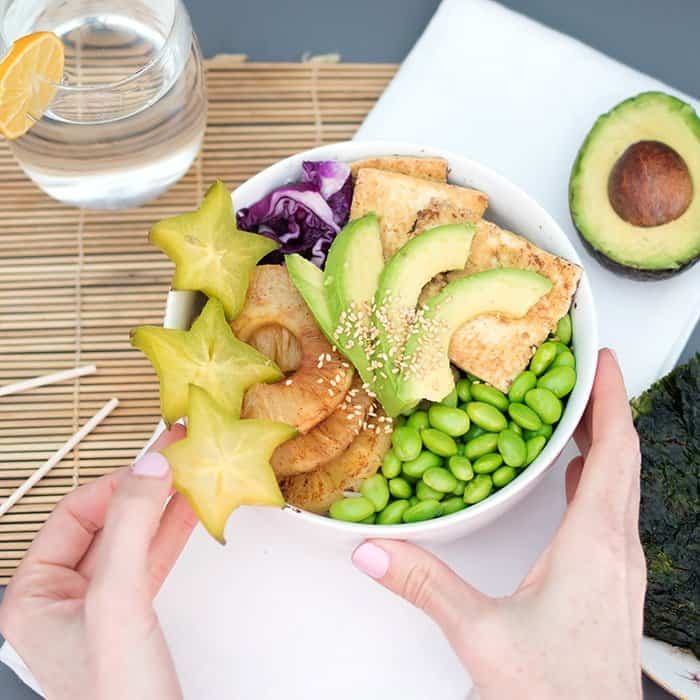 Poke bowls are really having a moment right now. 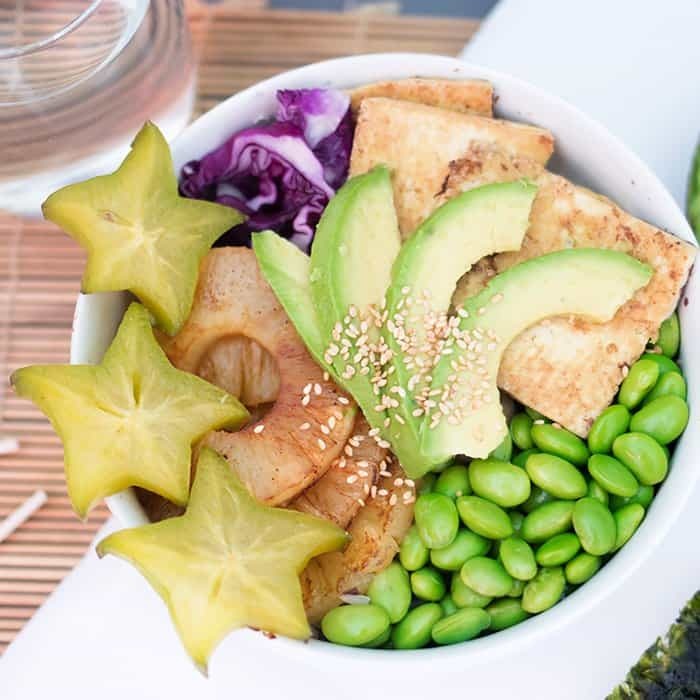 Poke bowls traditionally have raw, marinated fish, so I use tofu as a substitute. 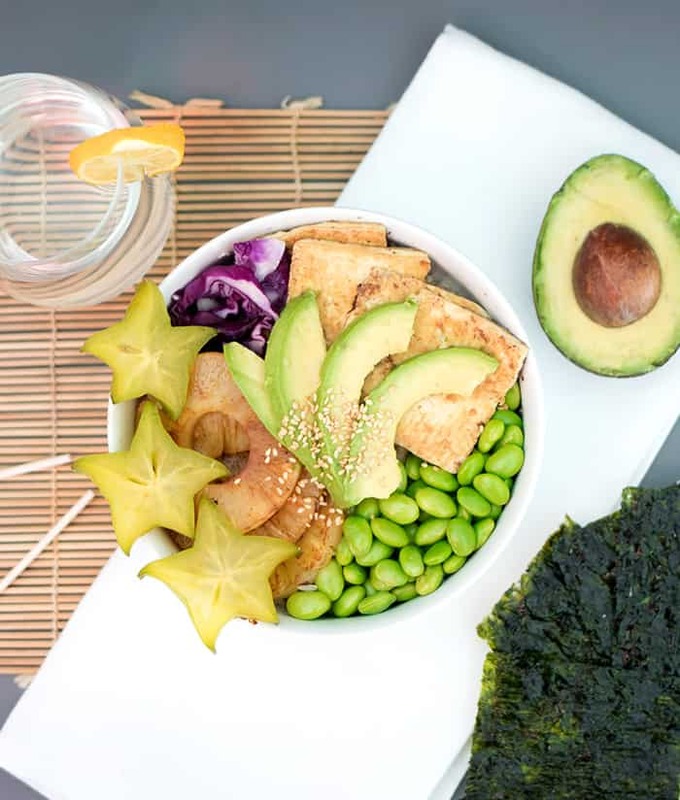 What I love about Poke bowls is that there’s no wrong way to make them! I start with a bed of brown rice, then I layer on grilled tofu and pineapple. I add some edamame, shredded red cabbage and a few slices of star fruit. Sprinkled on top are some toasted sesame seeds. This makes a big serving so I usually have leftovers when hunger strikes again late afternoon. Want more easy Vegan recipes?